As a boy growing up in Istanbul, Vural Oktay liked to visit the bazaars in the old section of the city, where he delighted in the sights and smells of the marketplace: textiles and housewares, ceramics and spices, food, flowers, and rugs. The colors and aromas of the spice bazaar — rosehip, cumin, paprika, mint — especially fascinated the boy. "I love it," said Vural, now a Vermont restaurateur. "It opens your appetite in the morning, and you want to eat good food." With his wife, Jackie, and his brother, Hasan, Vural owns two restaurants: Istanbul Kebab House in Burlington (which the trio originally opened in Essex Junction in 2012) and Tuckerbox in White River Junction. Now Vural and Jackie have opened a third business, Little Istanbul, a White River Junction shop that sells goods imported from Turkey — mostly household objects and accessories, but also Turkish wines, spices and sweets. "We've been wanting to do an import store for years," said Jackie, who will turn 32 on September 16. She grew up in Jay and is a graduate of North Country Union High School in Newport and the University of Vermont, where she earned a BS in nursing in 2008. "We wanted to be able to bring in more handmade Turkish goods and share the culture," she went on. "It was a no-brainer for us to have a [new] business close to the restaurant." 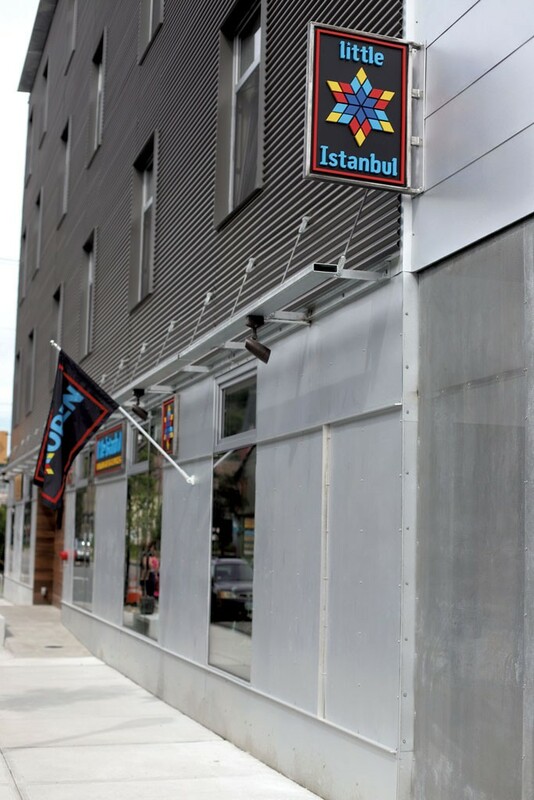 Little Istanbul opened five weeks ago across the street from Tuckerbox. Taken together, the two businesses form a mini Middle Eastern bazaar in a town that has little in common with Vural's hometown. White River Junction, on the western bank of the Connecticut River, is home to about 2,200 people. Istanbul is a city of more than 15 million on the Bosporus Strait, which separates Asia from Europe. The Oktays offer a taste of that region at Tuckerbox, a corner restaurant with big windows facing Main Street. Since purchasing it in 2013, they have expanded the business in size and offerings, keeping it open for breakfast through dinner. The kitchen is run by a chef from Istanbul, Ali Varlik. His menu includes falafel seasoned with 12 spices, hummus made from dry organic chickpeas shipped from Turkey, and melt-in-your-mouth dolmas sweetened with currants and dressed with lemon juice and chopped parsley. A diner from Dummerston said she routinely travels an hour for the doner kebab. Local influences are evident, as well, such as in the light and crispy zucchini fritters made with squash that Jackie grows in her garden at the family's White River Junction home. While the new store is a feast for the eyes, the first sense that awakens when one enters the space is smell. 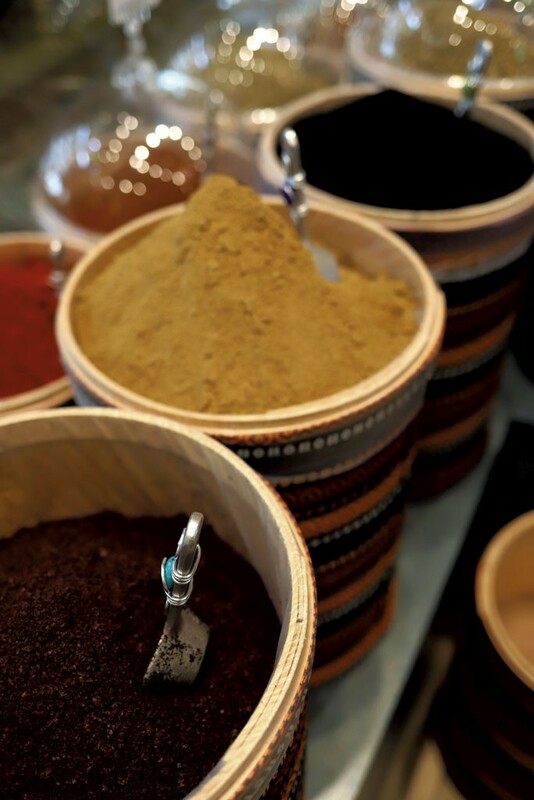 Bins of spices fill the center of Little Istanbul, their combined aroma floating in the air like an exotic perfume. After a bit of time in the store, the distinctive aroma fades into the background, allowing visitors to focus on the array of beautiful and interesting objects. Vural selected the inventory last winter when he traveled to Turkey with a shopping list. He visited rug makers, cobblers, and artisans who make embroidered handbags, boots and belts. Filling 187 boxes and canvas bags, his selections were shipped from Istanbul to Boston in a cargo container and trucked to White River Junction. "As you can see," Vural said, "they are tasty looking." Vural talked about his childhood in Istanbul, where he grew up with an older sister and brother. He started working at age 11, after the death of his father. "We passed that darkness together," Vural said. His jobs included work at the flower bazaar, public toilet cleaning, radio and TV repair, and carpentry. "I was always working," he recalled. "Always working." After mandatory service in the Turkish Armed Forces, which Vural said teaches young men about respect, responsibility, posture and proper communication, he embarked on a career in the restaurant industry. He worked in the front of the house at high-end hotels that cater to tourists. Despite his hard work, Vural said, he was told he lacked the command of English needed to advance. So he and a friend applied for visas to work at Omni Mount Washington Resort, located in the White Mountains in Bretton Woods, N.H. Vural received a visa; his friend did not. "It was destiny," he said. "I went alone." He was a young man in the winter of 2003 when he arrived at Boston Logan International Airport. His cellphone had gone missing during a stopover in the Netherlands; the man from Bretton Woods who was supposed to meet him hadn't showed. "I am so tired," he recalled thinking. "Why is everything so difficult?" Boston was cold and snowy. He wondered about getting on a plane back home. Instead, he spent about eight hours at the airport awaiting his ride before continuing his journey to northern New Hampshire. The temperature dropped, and the snow picked up as he got closer to Mount Washington. Yet signs of hope would soon emerge from this bleak landscape. Vural loved the region's fresh air and the taste of mountain water. "I think I'm going to love the United States," he recalled telling himself. Love kicked in for real in the summer of 2006, when a UVM student — Jackie Heath — showed up for a summer job at the Mount Washington Resort. She was working as a cocktail waitress when she and Vural met. "She was beautiful inside and outside," he said. "And we flirt, and I fell in love." For Jackie, the resort was a "cool little place, a magical place." The employee dormitory was home to people from around the world — a "melting pot of cultures," she recalled. "It was just a great thing." By the end of the summer, the couple was engaged. While Jackie finished college, Vural moved to Chittenden County and worked at various restaurants, including Basin Harbor Resort. After Jackie's graduation from UVM, the couple moved to the Upper Valley, where Jackie started her career as a cardiology nurse at Dartmouth-Hitchcock medical center. She would work there for eight years, including five as a nursing supervisor. During that time, the couple celebrated their marriage at Jay Peak Resort and on a ship in the Bosporus, opened two restaurants and had three children, now 7, 5 and 2. They financed the businesses themselves, Jackie said, with no investors or loans. "For every project, we drain our accounts and build back up slowly," she said. "Vural's sort of the dreamer; he has the vision. And I figure out how to make it happen." She left her nursing job in the fall of 2016 to focus full time on the family businesses, handling bookkeeping, hiring, scheduling, ordering and payroll. Vural manages daily operations at Tuckerbox, where customers include doctors from Dartmouth. "They are blaming me," he said, explaining that they accuse him of taking Jackie away from the hospital. The couple is working side by side in the new store to get it established, recommending Turkish wines and offering suggestions on how to use the spices: sumac for pickling, cumin for meatballs, mint for lentil soup and tea, black caraway seeds for buns and cookies, and rosehips for medicinal purposes. The spice bins, with scents and flavors that hark back to the bazaars of Vural's Istanbul childhood, have been refilled three times since the shop opened, Jackie said. "Even if you are sleepy or tired, the spices will wake you up," Vural said. "I brought all the spices for inspiration for people who haven't cooked in a long time. When they see those spices, they get to their houses and try to cook more stuff. I can share this message — with everyone — [and] they can start to cook again." The original print version of this article was headlined "Istanbul to White River"